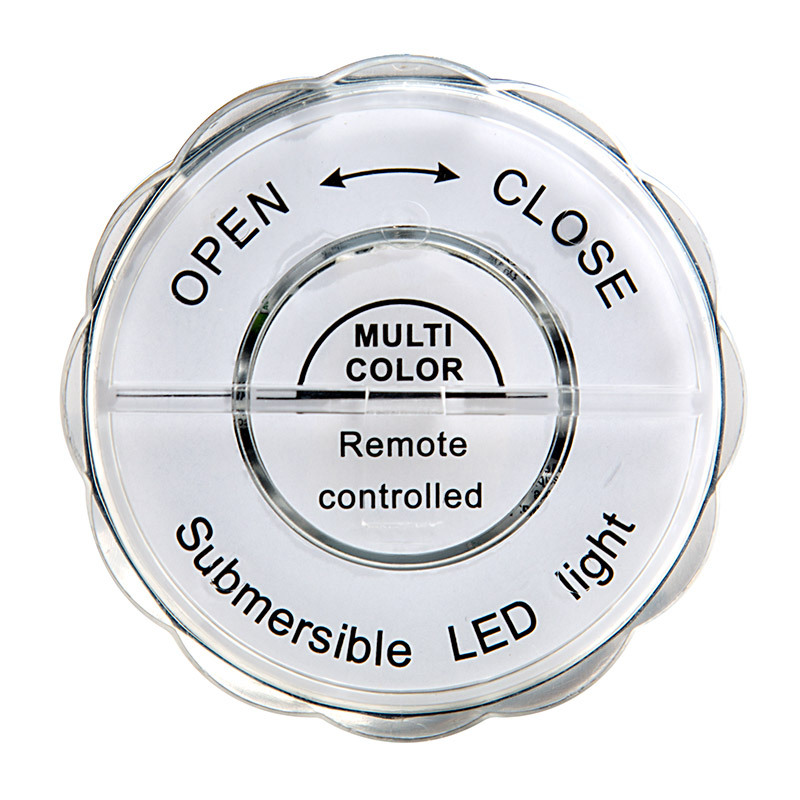 Submersible RGB LED Accent Light w/Remote: On Showing Red, Green, Blue, And White Colors. 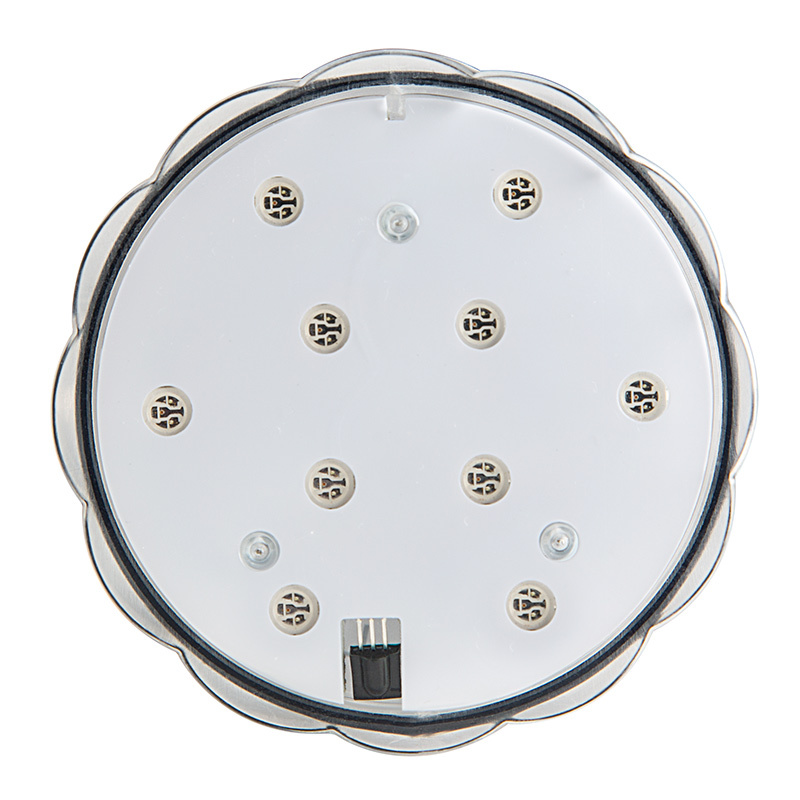 LED Floralyte with IR Remote is a creative and easy solution to provide decorative lighting for any occasion. 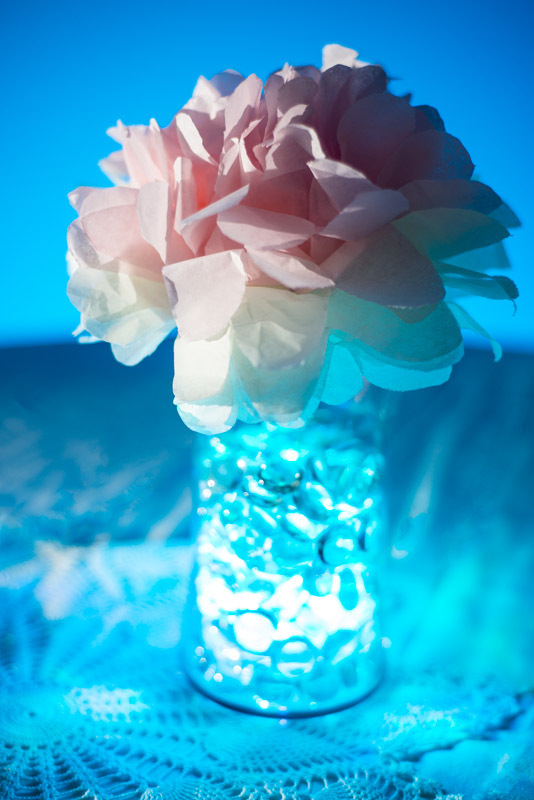 Waterproof, submersible (or floating -- see instructions) LED party lights can illuminate flower arrangements and table centerpieces. 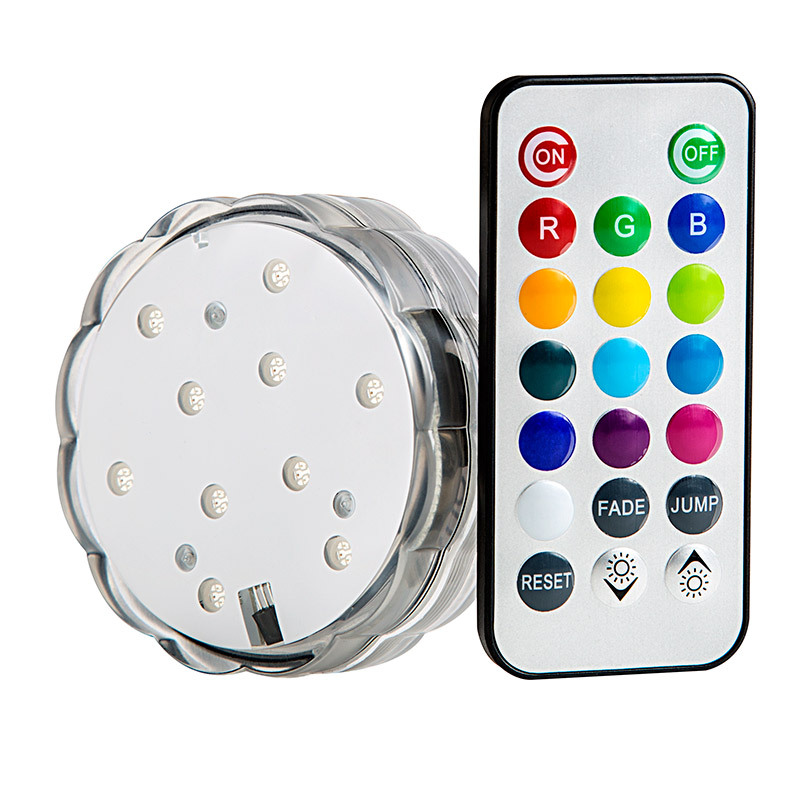 Remote controls ON/OFF, 13 different static modes and 2 dynamic color-changing modes. 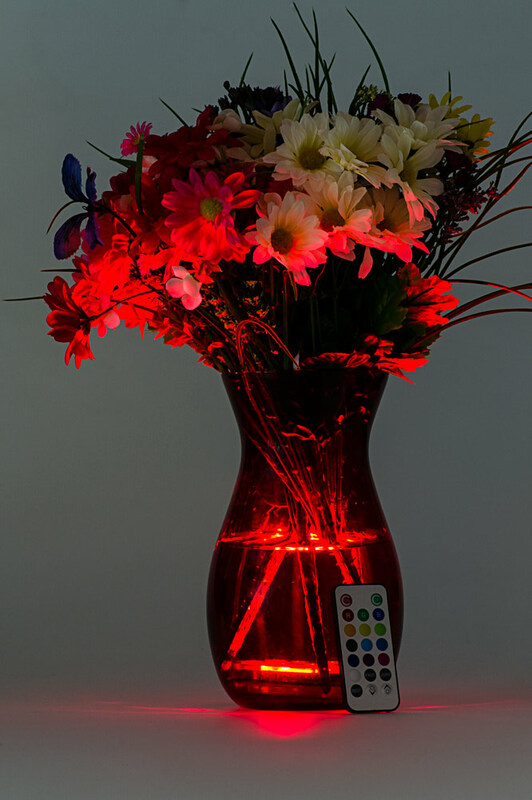 Floral light Measures 2.7" dia. x 1.4" tall. Uses 3 x AAA batteries (not included). 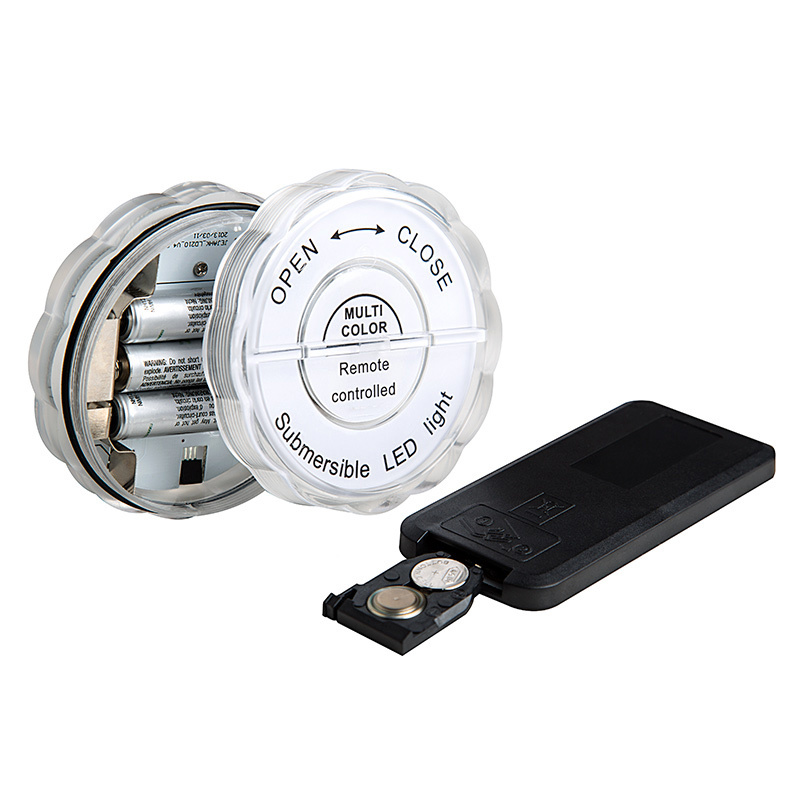 IR Remote uses 2 x AG10 Button Cell batteries (included). 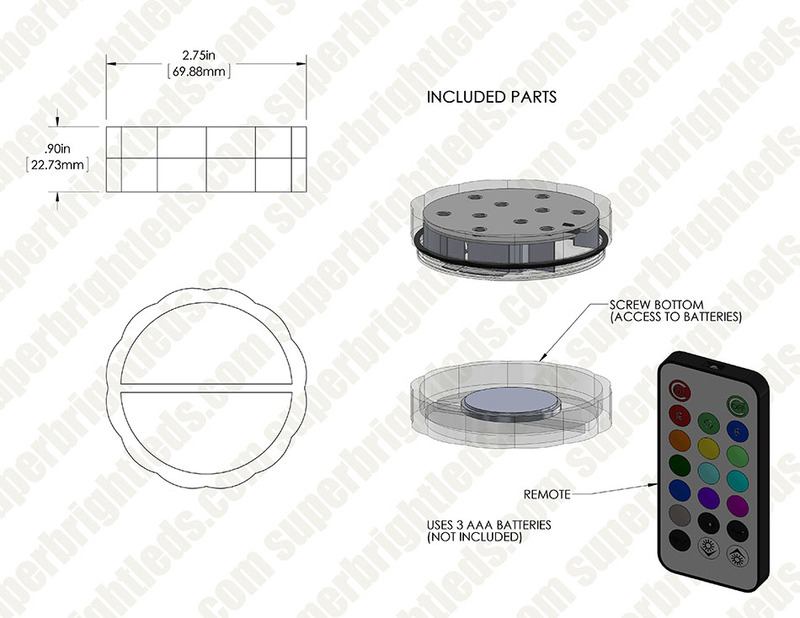 ***IR remote controller has a signal range up to 30ft (9m) and requires 2 x AG10 Button Cell batteries (included). Estimated using standard alkaline batteries. Unscrew battery back plate from light to expose battery compartment. Insert 3 new AAA batteries (not included). 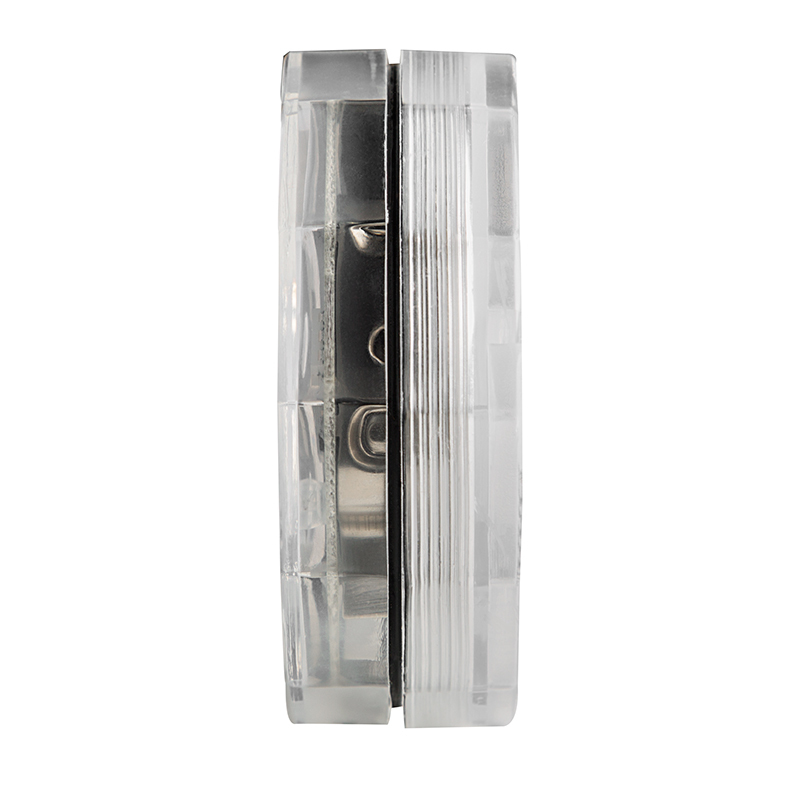 Screw battery back plate on light and make sure the rubber seal is firmly sealed to prevent water ingress. Remove protective plastic tab from battery compartment on IR remote control. Press “ON” using remote while pointing directly at black IR sensor on face of light unit to ensure operation. 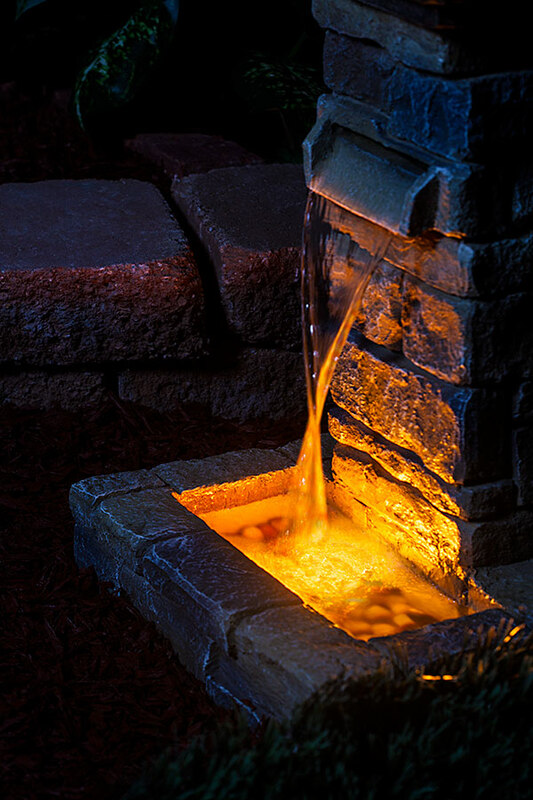 Place in water with LEDs facing up. Unit will sink to bottom. To make unit float, remove metal disc from battery cover. IR control distance is within 30 feet (9m) in an open area. Remote must be aimed at top of light unit (aim at LEDs). 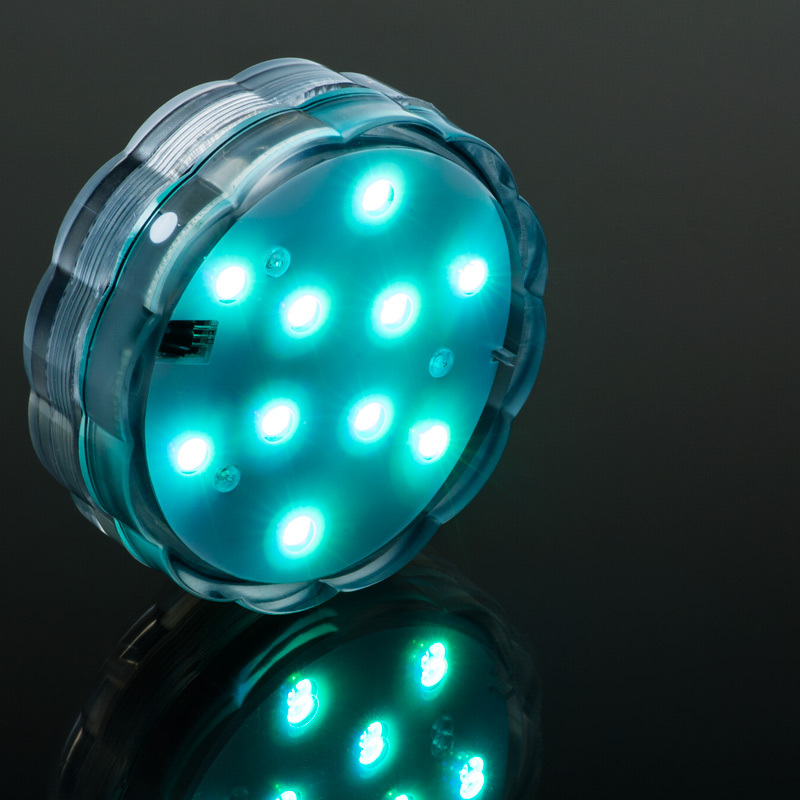 ***One IR remote will control multiple Submersible LED Accent Light units. absolute waste of money, these lights eat batteries real fast , I never get over two days out of them. regardless of who makes the batteries. 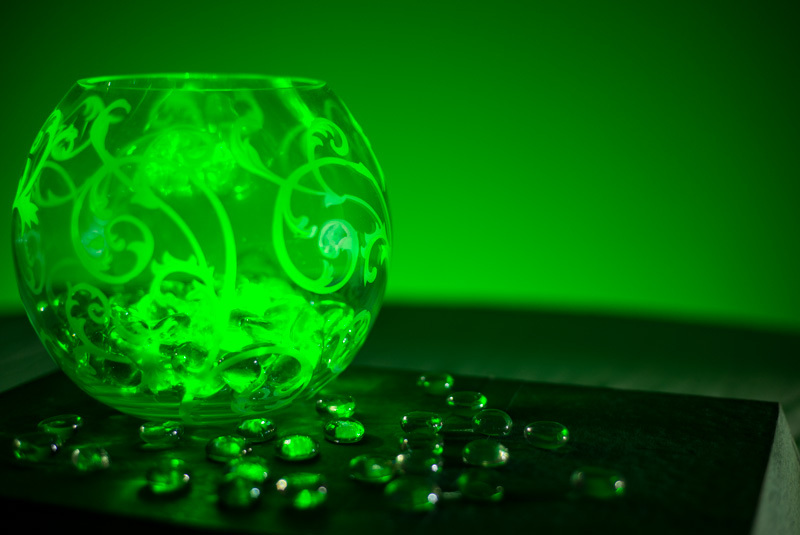 I'm a collector of Viking art glass, and other glass.when I put the led lights under the glass the color of the glass comes alive,they are fantastic. 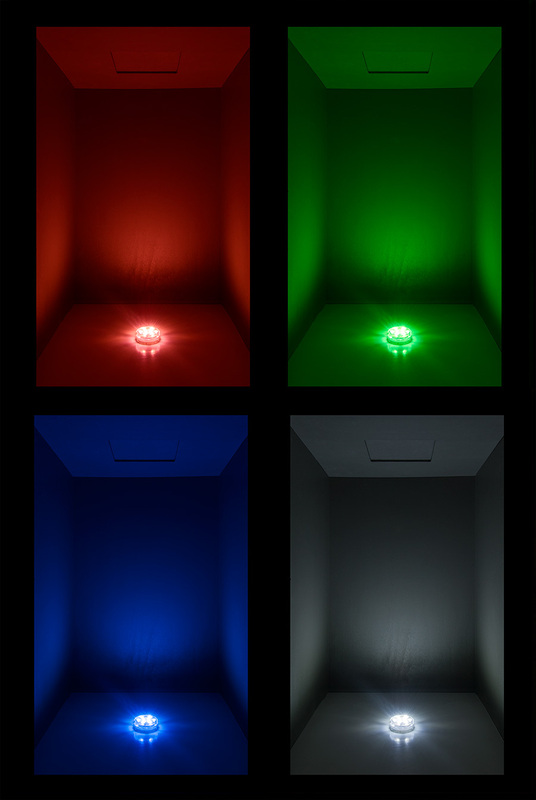 What is neat is the selection of colors of the led light,when shown against the different color of glass,you come out with a new color. I will buy more in the future. 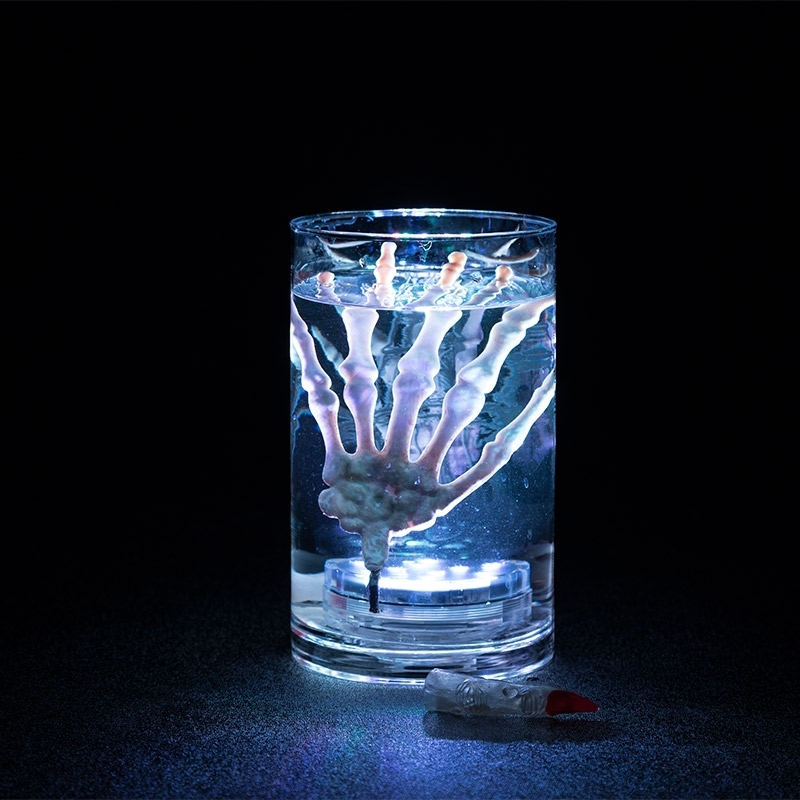 I highly recommend this product for art glass collectors. 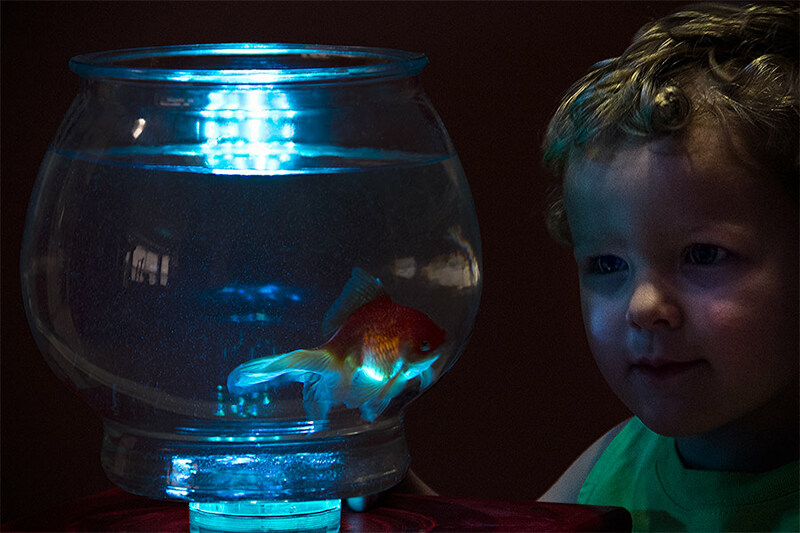 I took a risk and bought this light for my daughter when she is in the tub at night. She absolutely loves it. The colours are very pretty and the brightness is amazing. You wont be disappointed. Believe it or not this product is being used on board a private jet for our passengers to alert us if they need the cabin temperature to be warmer (red light) or colder (blue light). It's too loud to shout at us, and we hate to bother our passengers to get up when not necessary. 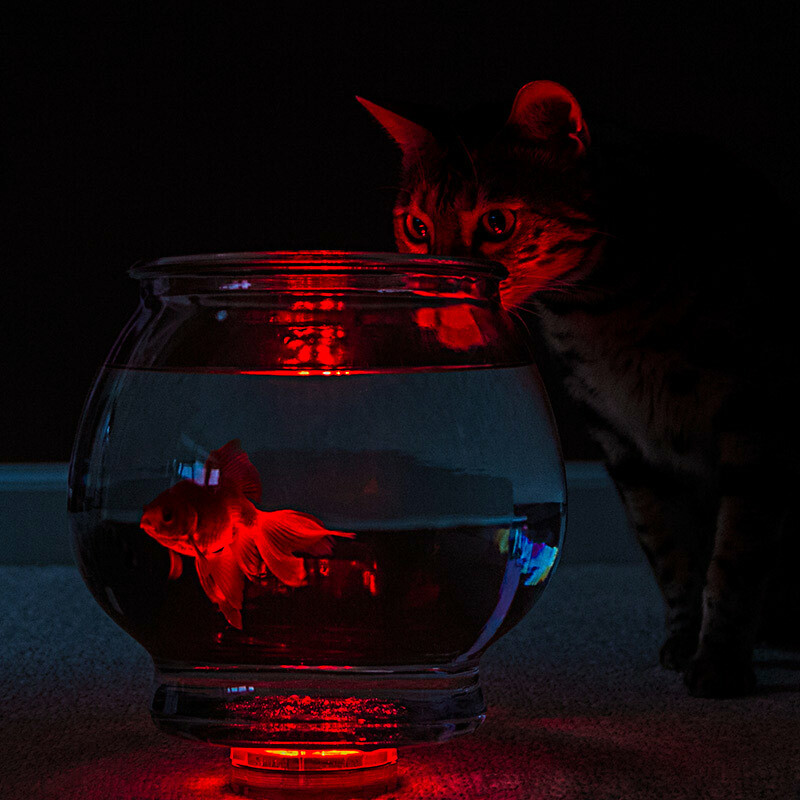 One word of caution, this thing is BRIGHT! 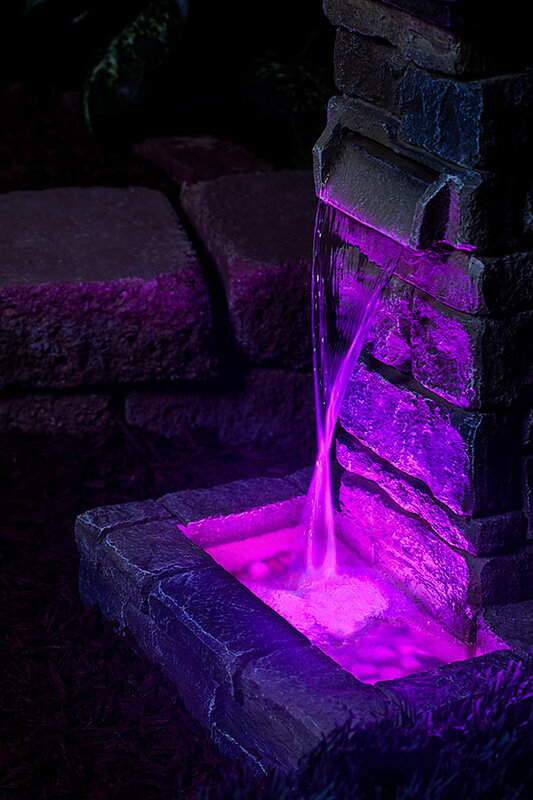 There's no way we could use it at night unless I fashion some sort of cover. There is actually a brightness control, but it really doesn't change that much. Range is great; definitely 30ft or greater. Overall quality is great. The transitions are a neat option even though we don't need them. I can't wait to figure out new uses for this product so I can buy some for around the house. It's hard to believe this $10 product works so well aboard a multi-million dollar jet. 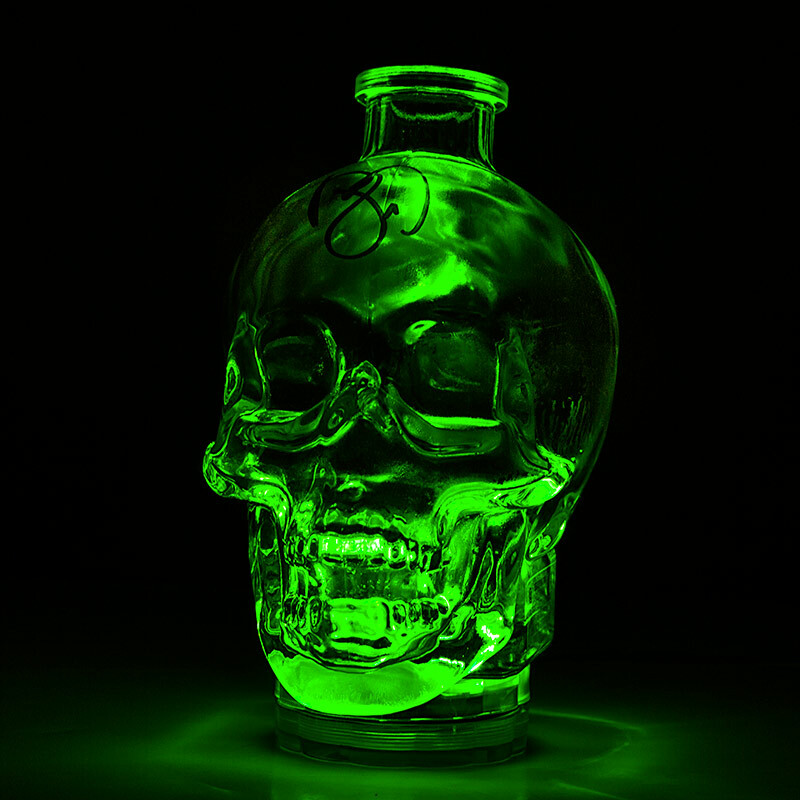 We're a custom wood shop and we embed these in our display cases for a beautiful lighting effect. We strip the modules out, remove the battery contacts and hard wire a USB-A power cord. The remotes are very good and the module responds well even to diffused or indirect commands.